Does your business or organisation have a culture in which innovation thrives? Do you encourage your team to challenge the status quo? Or do you struggle to find time to listen to, and seek out, new ideas? Building a culture of innovation is hard work. However, the scientific research into how to create a culture where innovation thrives is both plentiful and precise. 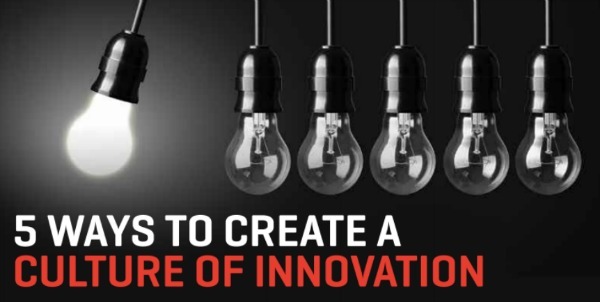 Following are five of the most impactful drivers of an innovation culture. Research has shown that feeling a strong sense of challenge in one’s work is a critical driver of innovation. Challenge refers to people working on tasks that are complex and interesting — yet at the same time not overly taxing or unduly overwhelming. For example, if a personal trainer is simply going through the motions with their clients and not researching and incorporating new exercises, then they won’t be feeling a strong sense of challenge, and thus will not be maximising their creative potential. It is important that you don’t simply think about how to give people (including yourself) the biggest possible challenge. Instead, you should ensure that the level of challenge you set is one that is achievable. On the flip side, don’t set tasks that people can complete with their eyes closed. When thinking about how your company approaches innovation, ensure that experimentation is a mandatory step. Rather than just going straight from idea to implementation, you should first run experiments. This involves setting hypotheses as to why you believe an idea will add value to the customer and creating a minimum viable product (MVP) – the most basic version of the idea that will still allow for learnings. You can then set up an experiment to test your hypotheses using the MVP and, depending on the results, implement or change course accordingly. Experimentation is a very effective way to help reduce the risk of new innovations. Experimentation might involve having group fitness instructors put on ‘test’ classes for members and getting feedback on how valuable they found the class. From there, the concept can be tweaked until it receives largely positive feedback from members. Many researchers have found that creativity is dramatically enhanced when people are given the freedom to decide how they do their jobs. When people feel as if they have a choice in how things can be done they are significantly more likely to engage in trial and error and, through this, find more effective ways of doing things. Just be sure to set clear goals, as the autonomy effect is strongest when people are clear on what you want them to achieve. Ensuring that different points of view are encouraged, and ideas regularly debated, is critical for creating a culture in which innovation thrives. Lead by example and encourage others to debate and discuss ideas that you bring to the table – actively encouraging different viewpoints will strengthen your innovations significantly. The fitness industry can be guilty of attracting a homogenous group of people (those who have loved sport and fitness all their life and have probably never struggled with their weight, like many of their customers will have), so during recruitment, avoid the temptation to recruit people who are just like you – doing so will only discourage debate and encourage homogeneity of thinking. Dr Amantha Imber is the founder of one of Australia’s leading innovation consultancies. Her latest book, The Innovation Formula, tackles the topic of how organisations can create a culture where innovation thrives. Amantha is highly sought after for keynote presenter and corporate trainer. If you would like to know more about Amantha's keynote presentations contact the team at Great Expectation call 1300 55 64 69.